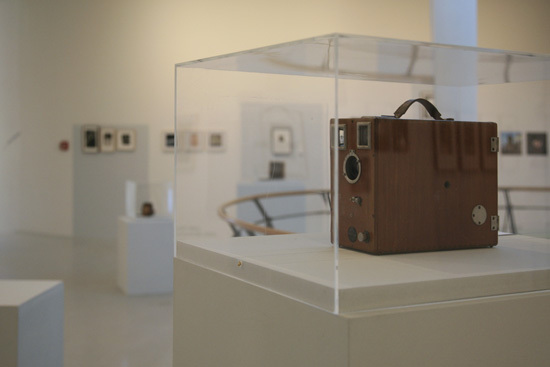 What if we search for the original cameras of retired or deceased photographers and request contemporary photographers to use them for the creation of new images? 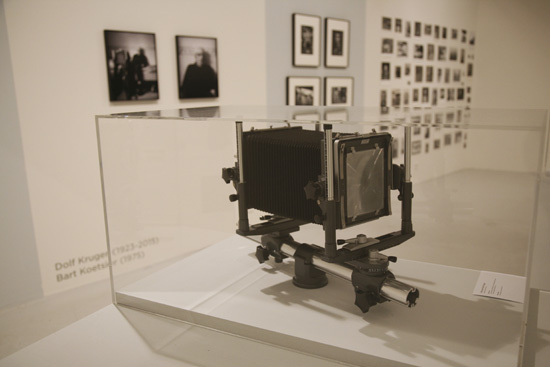 In that way we would picture the history of photography and relate the old with the new in both a literal and figurative sense. 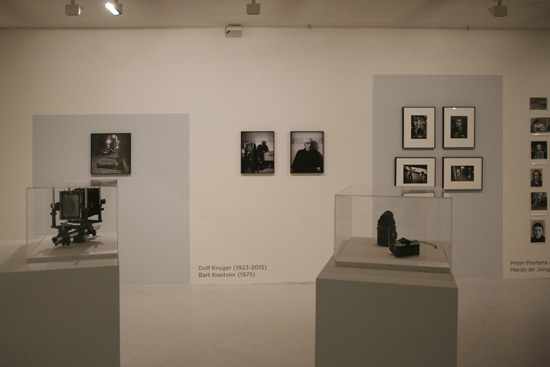 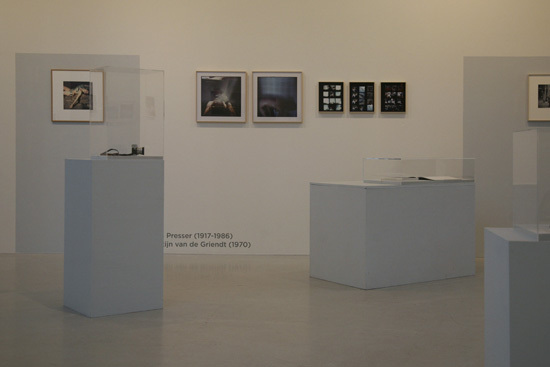 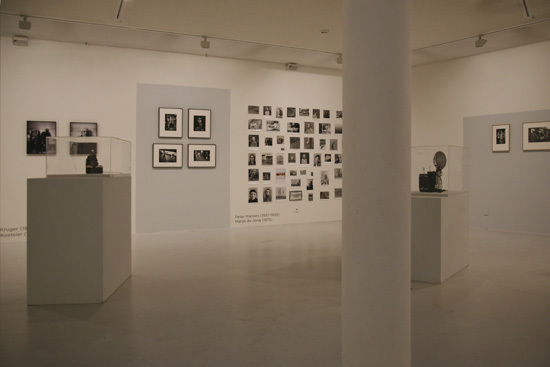 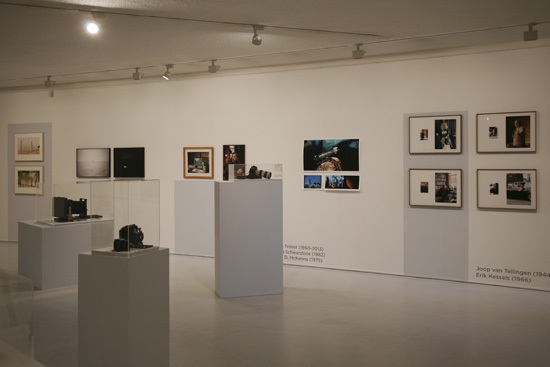 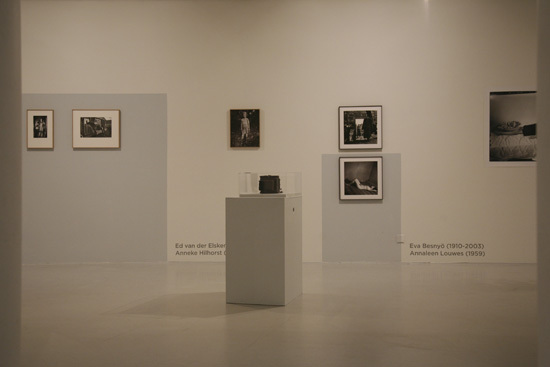 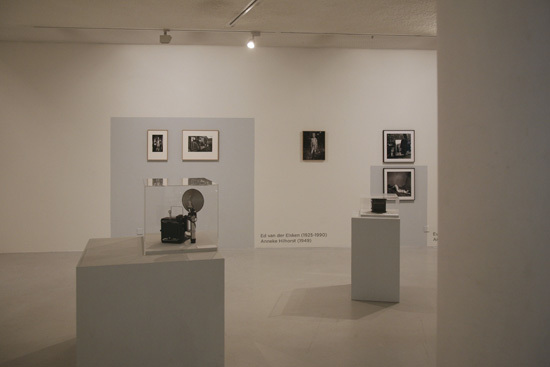 It would present the techniques, traditions and renewals of photography while offering a tribute to past generations of photographers. 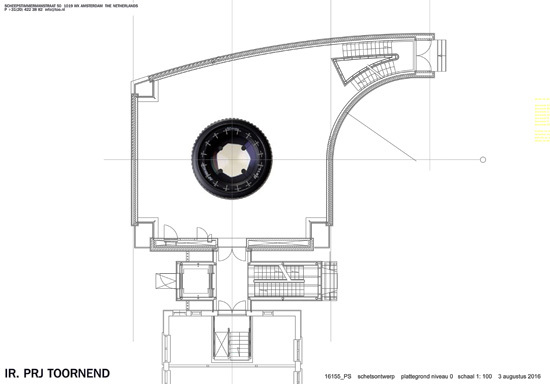 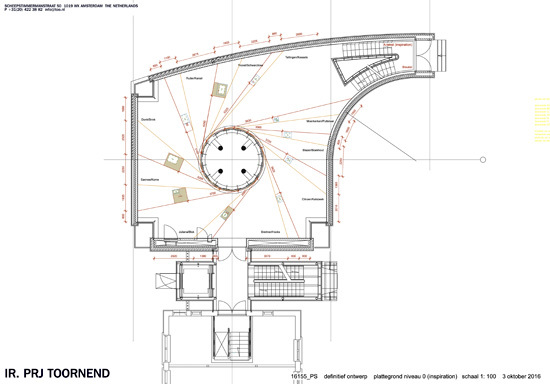 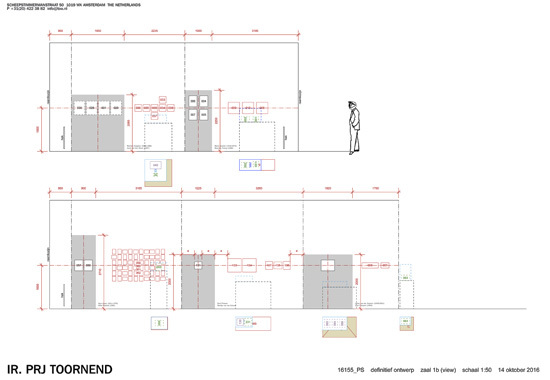 The design for the exhibition started from the notion that the floor plan of Museum Hilversum seems to resemble a giant camera, the diminishing circular voids its imaginary aperture. 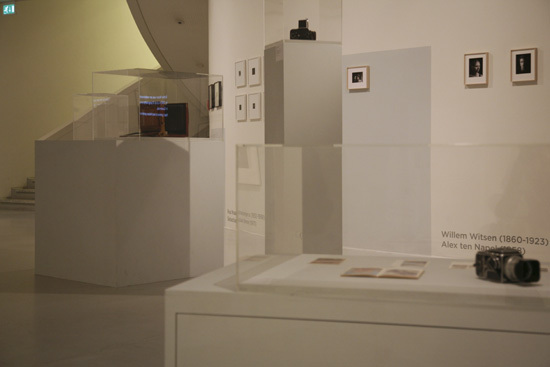 Thirty existing wooden pedestals of the museum were collected, painted floor grey and positioned carefully around these imaginary apertures. 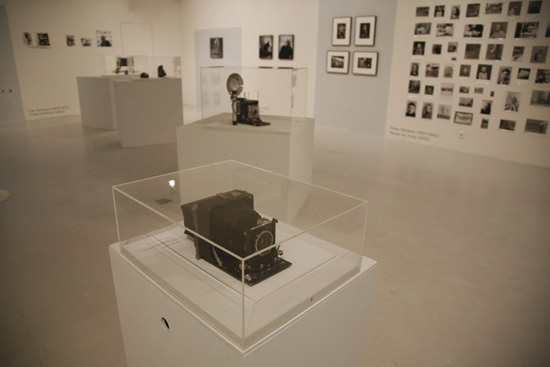 Thirty existing acrylic hoods of the museum were collected and positioned carefully on top of the grey pedestals, each one over an original camera. 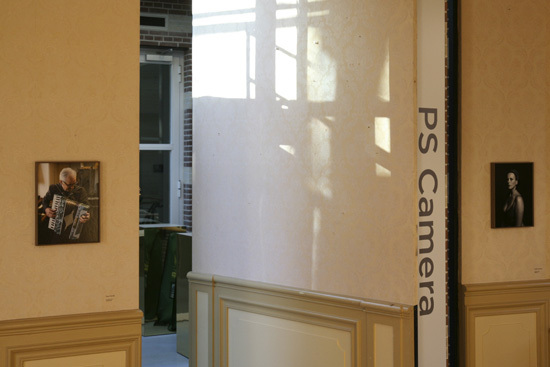 Then a virtual light was imagined, shining through the imaginary aperture and projecting virtual shadows of the camera pedestals on the walls of the museum. 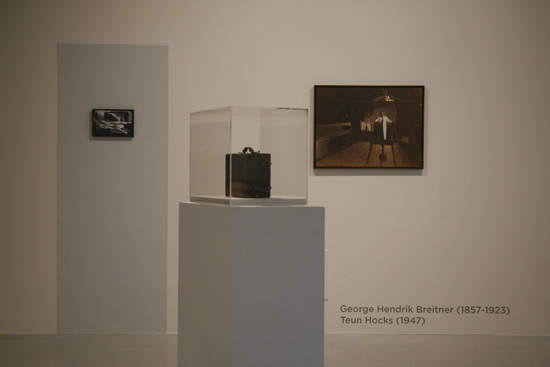 The shadows were painted floor gray. 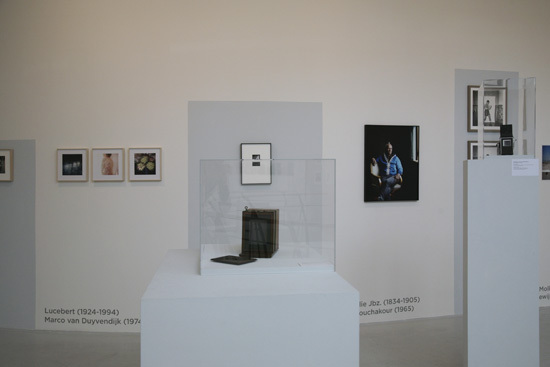 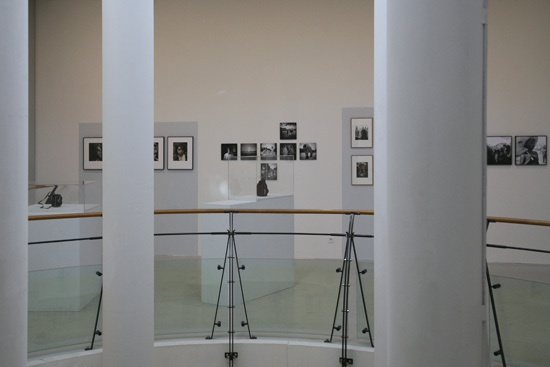 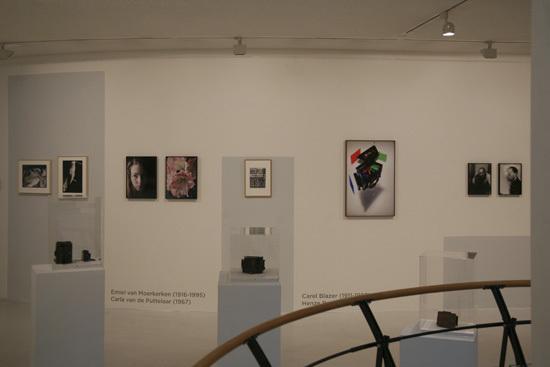 Old photographs were presented in the shadow of their original camera, new work was presented on the bright white walls in between.